Apple’s iOS 9 has been officially released and by the looks of it, Cupertino has outdone itself once again. However, alongside the gigantic release, Apple did launch a new Android app that works to move personal content and data from an Android smartphone to an iOS device. The details have already been spoken of and seemingly, the new Android app, ‘Move To iOS’ is a great medium if you’re looking to switch from Android to iOS ecosystem. The app is now available to download from Google’s Play Store. Move To iOS offers a sleek mechanism whereby all of your contacts, photos and videos, non-DRM songs, message history and many other things can be transferred from an Android smartphone to any iOS supported device. Moreover, Apple has also provided users with a suggestive app method that enables users to install the same apps as that of their Android counterparts. Any paid apps purchased from the Google Play Store will automatically move to iTunes Wish List. The real question though is the mechanics of the Move To iOS app. So let’s jump right into it and see how the app enables Android users to shift to iOS. So if you are ready to make a switch to iOS, download the Move to iOS app from Google Play Store right now. Before you begin, make sure you follow these prerequisites. Chrome bookmarks will only be transferred if you have the latest version of Chrome running on your Android device. Once you have your new iOS device with you, make sure you find the Apps & Data screen while setting it up. Do take note that if you have passed the Apps & Data screen and finished your setup, you will have to restore your iOS device to work it again. If you do not wish to restore and erase your device, you can transfer your data manually. Once you have downloaded the Move To iOS app, open it and tap Continue. Agree to the terms and conditions that shows. This will take you forward to the ‘Find Your Code’ screen. Tap Next in the upper right corner of the display to request the code on your iOS device. Your iOS device will show the ‘Move From Android’ screen. Tap on Continue and wait for your specific ten-digit code to appear. Ignore the weak Internet connection message if you’re prompted for it. 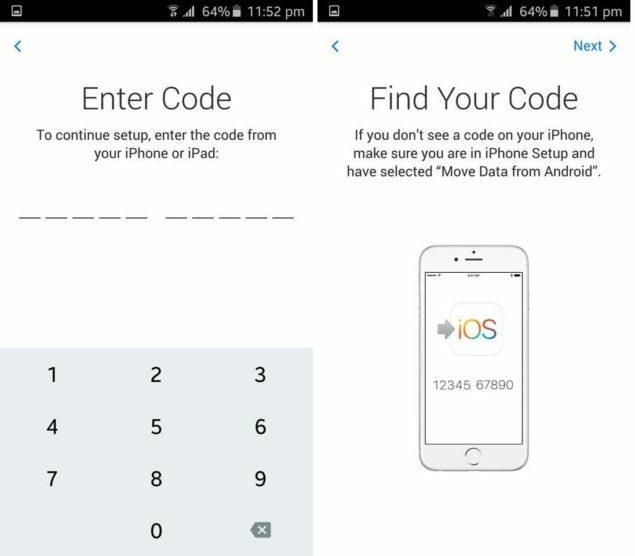 After you get your code, enter it in your Android device. The Transfer Data screen will then appear. This is where you will select the content from your Android device that you want to move. Once you do that, press Next and then leave the two devices alone until the progress bar finishes on both devices. The transfer time depends on the amount of data being exchanged and the internet speed, so don’t worry if it takes too long. The progress bars will be done eventually. Once both bars are finished, press Continue on your iOS device then follow instructions to finish setup on your new iOS device. Tally your data from your Android device in case you missed anything. If you did, do it manually. 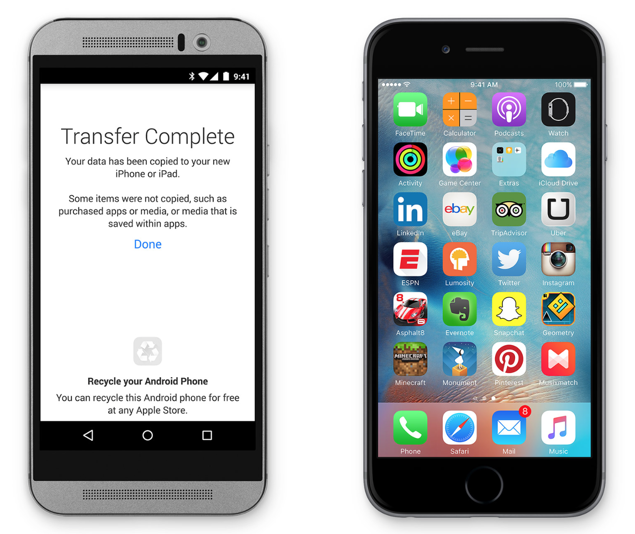 That is it, you have successfully transferred your data from an Android device to iOS with Move To iOS app. 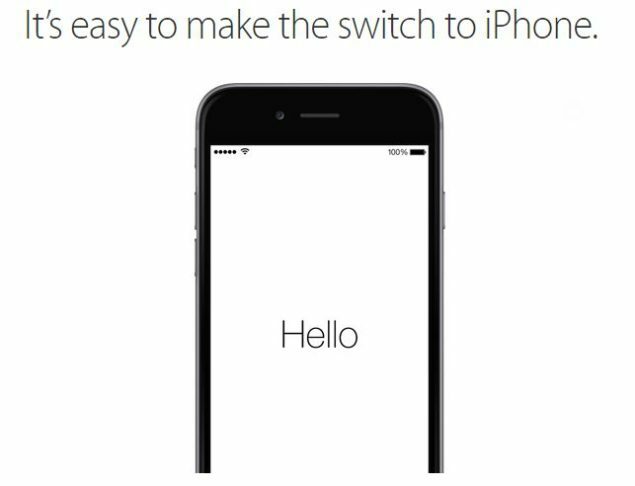 You can now continue using your iOS device. Your apps can be downloaded from the App Store, all you have to do is look for them. This is it, guys. Share your views if you found this helpful. Will you guys be making a switch to iOS from Android?